Toys are among the top-selling products worldwide. This industry generates major sales incomes and forms an important part of the world trade. 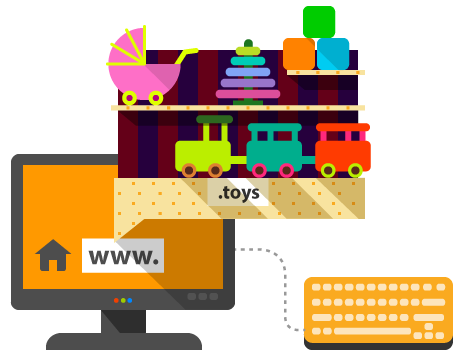 Children toys manufacturers, distributors, and retailers now have the opportunity to choose a specialized, targeted, and easily remembered domain for their online presence in order to be closer to their clients and make more sales. If your business is in the field of toys, don't miss the chance to register your brand in a .toys domain.